Lafayette: The Lost Hero re-aired August 2013. 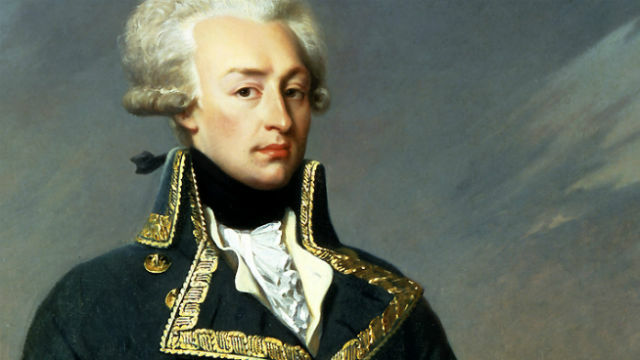 Lafayette: The Lost Hero tells of the Marquis De Lafayette's quest for democracy. No one in recorded history has suffered a fate quite like Lafayette. Once, he was the most famous man in the world; today, few people know who he was or what he accomplished. Ever since he died, there has been a conflict over the true meaning of his accomplishments. It is time to re-evaluate his crucial role in the establishment of America's democracy. In his day, Lafayette was hailed as the "Hero of Two Worlds." For a century or more he was universally admired in the U.S. and became a household name. He was the subject of worshipful biographies and the only foreigner, ever, to have more than 30 American towns — not to mention streets, squares and parks in almost every city in the US — named in his honor. This naming fad continued for more than a hundred years after his fight for the American cause. Why was Lafayette so beloved in his "adopted" country? Alone among the Founding Fathers, he was able to win "the unanimous acclaim and veneration of all Americans." The Virginian, Thomas Jefferson, was not a hero in the North any more than Bostonian, John Adams, could be one in the south. The only man loved and venerated by everyone was the one they called "Our Marquis." The record strongly indicates that he won his reputation by merit, proving himself courageous in battle and resourceful behind the scenes, advancing the cause of America and forging its crucial alliance with France. All that — between the ages of 19 and 21! Perhaps his most enduring quality was his steadfast support through a long, eventful life, of the core principles of democracy and freedom for everyone: man or woman; Catholic, Protestant or Jew; white, black, or Indian. During his lifetime, Lafayette was also an extremely popular figure in France, but the violent turning point of their revolution left him forever a compromised and controversial figure to his own people. Today he is reviled by certain extremes in French society. Many on the left or the working class regard him as a self-serving aristocrat, a monarchist who was never fully committed to the people. To the right, he will forever be a subversive traitor to his king and class. But for the most part, in France and America today, he is simply a forgotten man, one whose extraordinary accomplishments have now faded from memory. In his time, Lafayette tackled the thorniest problems that came with the American experiment: racism, slavery, class differences, rights for women, and religious intolerance. In the 21st century, both France and the United States still struggle with all of that. Lafayette: The Lost Hero has been filmed using an innovative mix of documentary techniques, structured around the quest of his descendant, Sabine Renault Sabloniere, to discover the truth about the elusive story of her ancestor. Lafayette: The Lost Hero was was written and directed by Oren Jacoby, produced by Elgin Smith, executive produced by Dalton Delan and David S. Thompson for WETA, Tom Yellin for The Documentary Group and Oren Jacoby for Storyville Films. It is narrated by John Cullum. Lafayette's narration is spoken by Patrick Bauchau. PBS Newshour: Founding Fathers: Who Were They and What Happened to Them? © 2015 WETA. All Rights Reserved. Text by Oren Jacoby. Lafayette oil painting photo courtesy of Daniel Arnaudet, Jean Schormans / © Rèunion des Musèes Nationaux / Art Resource. Lafayette bust photo courtesy of Nina Leen / Time Life Pictures / Getty Images.